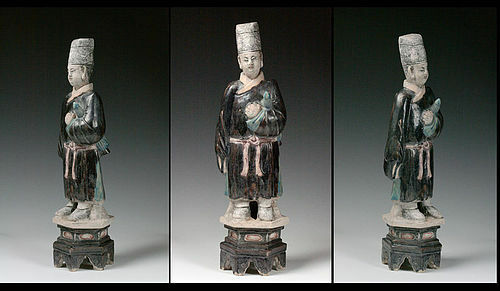 Three Chinese pottery court lady figures on plints, Ming Dynasty! A matching set of three Tomb pottery figures, representing court ladies, dating to later part of Ming Dynasty, 1368-1644 AD. The type figures has been TL tested to date around 1500-1600 AD. 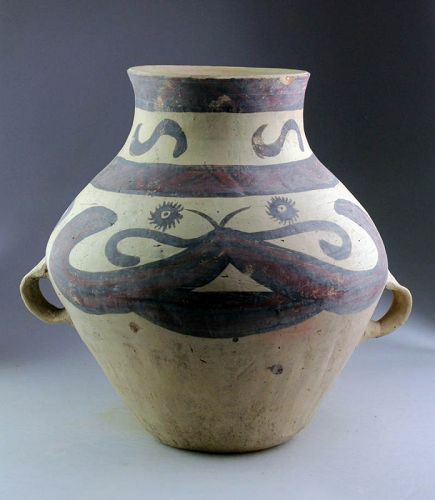 Chinese Neolithic Machang Painted Pottery Jar, dating to the 3rd.-2nd. 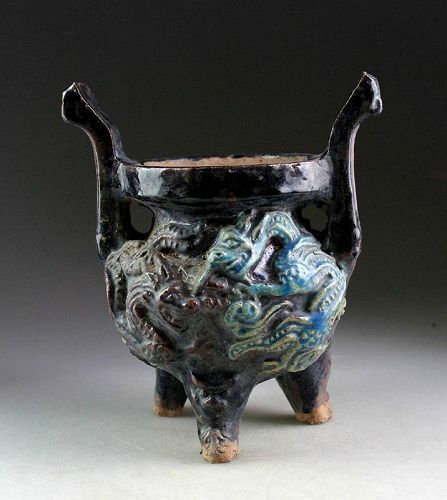 millenium BC A fine and unusually large vessel, likely a storage jar, Chinese Neolithic period, Machang or Xindian. 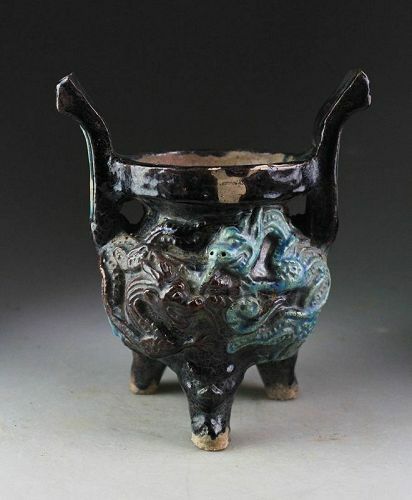 A very substantial vessel fine decorations in black and red fired-on mineral-based pigment. Finely made carvings with many details of dresses and facial features, detailed objects and the like. 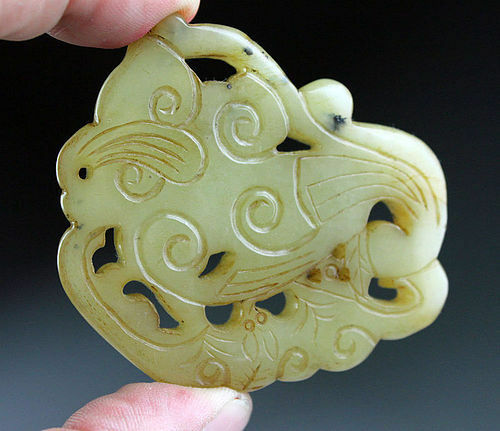 Rare early Chinese Jade carving pendant, Ex. Victoria Lindström! IMPORTANT CHINESE JADE CARVING PENDANT, IN THE FORM OF A LARGE PLAQUE, QING DYNASTY, 1644-1911. Likely dating to the 17th.-18th. century! A choice jade carving in the form of large plaque with a fantacy animal and a bat both sides. Decorations are done in a beautiful antique style manor! Carved in superb off-white jade. A very accomplished and guaranteed early jade carving from a fine collection! Size: c. 70 mm. wide. 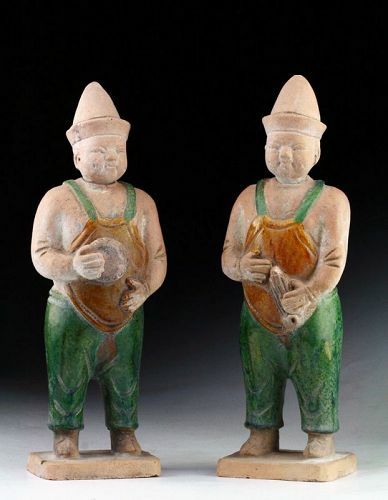 Large & superb Ming Dynasty pottery attendant or official! 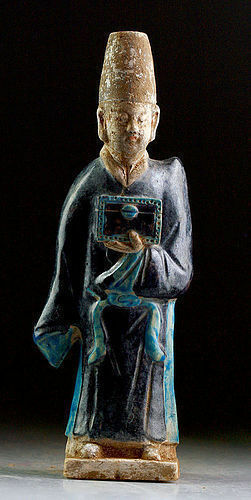 A superb quality large pottery attendant or official, dating to the earlier Ming Dynasty, 1450-1500 AD.